Why is it important that independent photographers get insurance measures in place? Photography is a highly creative industry. However, getting ahead in the photography industry also requires strong business acumen. Risk management is an essential part of that and something that every photographer, whether small and independent or part of a large studio, needs to integrate into business management. Ensuring that you have adequate insurance measures in place is the foundation of risk management and will cover you and your business for a whole range of different situations. Equipment is key for any photographer, from cameras and lenses through to the electronics equipment and software that is used to edit and finalise shots. Particularly for smaller businesses, if something should happen to key equipment, there may not be the resources to replace that equipment fast enough to avoid interruption to the business. Business property insurance provides key cover for essential items whether they are dropped, stolen or damaged by a third party. No matter how skilled the photographer, sometimes situations arise where a job cannot be completed or a client is just not happy. Professional indemnity insurance is essential for photographers. It will provide a safety net if there is a disagreement and a client is not satisfied with results and decides to take legal action. It’s also essential for a situation where there has been a failure to complete the contracted services. Professional indemnity cover provides a way to make things right and to ensure that the business can continue to operate. In the photography industry there is highly likely to be regular contact with members of the public. Those people could be clients or they could be passing individuals who stumble across a location being used for a shoot and interact with it in the wrong way. 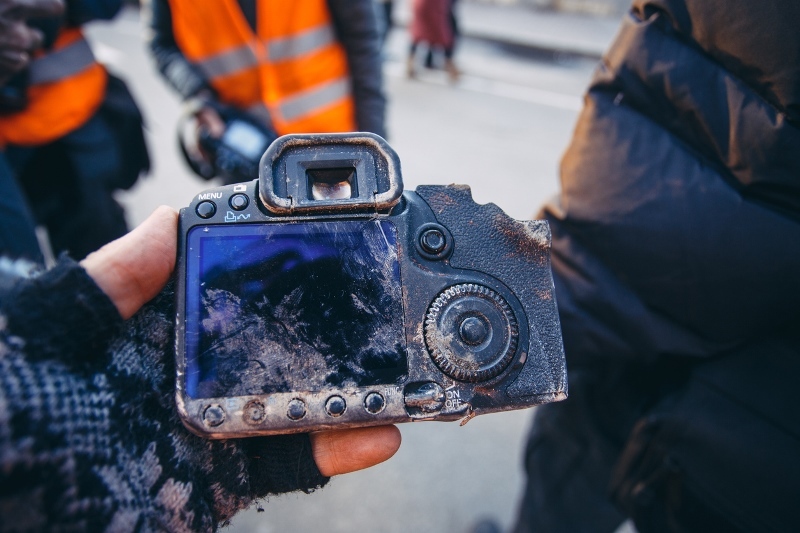 Public liability insurance provides protection for photographers if a claim is made for injury as a result of contact with the business or damage to property. That could be something as simple as a client tripping on a piece of equipment and claiming for a broken limb or covering the cost of damage to items or properties used for a location. Without insurance cover, the cost of remedying damage or injury caused will fall entirely to the business. Electronic data is crucial to most businesses in the photography industry. From images through to customer details or essential business data, loss of such data could have very severe consequences. Technology can be unpredictable and damaged or destroyed by a range of factors, from damage to flooding or fire. So, it’s important that there is some kind of protection in place for businesses that are reliant on this electronic data for survival. We offer insurance tailored to the needs of independent photographers – if you’d like to find out more please get in touch.